Some professionals have an exclusive network they would like to monetize. As connectors, they want to refer vetted consultants to clients. Obviously, they only want to refer consultants they trust. Thanks to our 2PS Broker partnership, we certify them that our consultants are vetted experts, who know how to collaborate. You are a consultant or have a company but also want to become a 2PS Broker? It is possible. You will get the “Broker” badge; and for the consultants, you will lose the points system for money. This badge will necessarily be given to new 2PS Ambassadors. If an Ambassador wants to assign a new broker in his/her League, the Ambassador must explain to 2PS how another salesperson could be beneficial to generate income. In any case situation, a Broker must sign a contract with 2PS that clearly states the rights and obligations of both parties. First, the Brokers (and only them) choose their broker's fees. Of course, they must remain realistic; if their fees are too high, none of the consultants will want to deal with them. Then, they won't be limited by any territorial exclusivity. However, as contractors, they commit to invoice through 2PS platform to do any business with our consultants. 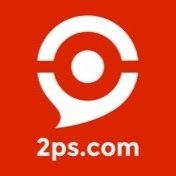 A consultant who works with a Broker must use 2PS platform to pay the fees. In the tab Business > Send invoice, you can find a section with the percentage you let to the Broker. Complete this Google form and 2PS team will go back to you to confirm your application.